Have a question? Call us on 01329 832294. Wide range of climbing plants at Mount Folly! 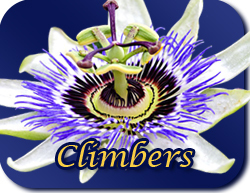 We stock a wide range of climbing plants such as Passion Flower, Clematis and Honeysuckle. Please see below for the whole range. Buy Direct from the Grower. Where Better Plants Cost Less!